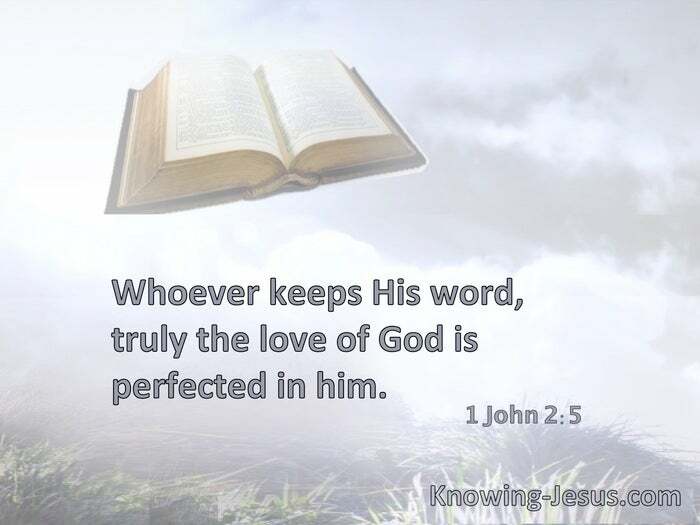 Whoever keeps His word, truly the love of God is perfected in him. The God of peace who brought up our Lord Jesus from the dead, that great Shepherd of the sheep, through the blood of the everlasting covenant, make you complete in every good work to do His will, working in you what is well pleasing in His sight, through Jesus Christ, to whom be glory forever and ever. Amen. Now by this we know that we know Him, if we keep His commandments. § If anyone loves Me, he will keep My word; and My Father will love him, and We will come to him and make Our home with him. § Whoever abides in Him does not sin. Whoever sins has neither seen Him nor known Him. Little children, let no one deceive you. He who practices righteousness is righteous, just as He is righteous. § Love has been perfected among us in this: that we may have boldness in the day of judgment; because as He is, so are we in this world.